200,000 kilometres in 3,000 days across five continents. 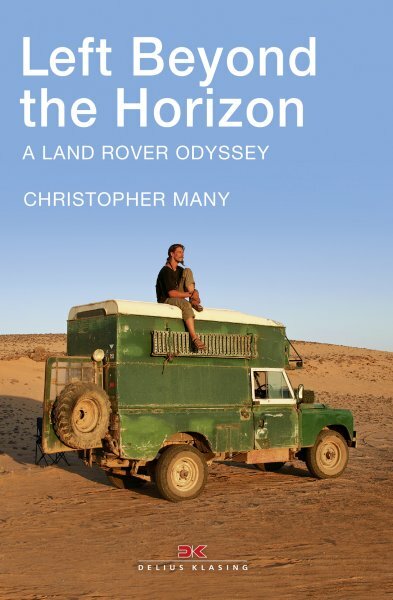 Or in other words, just 66 kilometres a day on average – which is quite enough for a 30-year-old Land Rover. Intelligently and with perseverance, Christopher scours the globe from Mongolia to Somaliland to find out what makes the earth “tick”. Soon enough the adventure turns into a sprawling n-dimensional tapestry of philosophical conundrums, rollercoaster emotions and first-hand observations in 100 countries. When he pulls on a few loose threads, a Pandora’s box of information is released, often at odds with conventional Western views. Christopher returns eight years later – exhausted, snake-bitten and malaria-infected – but with a few prized cogwheels in his knapsack, a greater understanding of the world we live in, and … with the love of his life. Equal parts sophisticated lexicon on global affairs and darkly witty travel chronicle, his book presents a vivid picture of the adventures, agonies and joys of world travel, and asks some very “uncomfortable” questions … truly going “where few have gone before”.